They have redesigned the icons on iOS 7. This has certainly given it a new feel. It took me a while to decide if I like it or not. At first I have to be honest and say I did not. But after a few days I actually began to like it and now the old design look archaic. 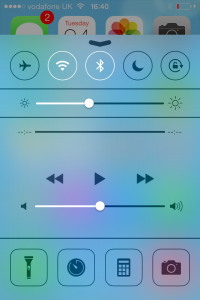 The main feature that stands out for me is the control centre. Sliding up from the bottom of the screen brings up a host of useful features. The one I use the most is the torch. They have finally implemented a torch into the iOS which is easy to get to. Another frequently used application in this menu is the calculator. Thumbs up from me apple. I do wonder why is has taken so long but you got there. The new notifications slide down menu makes it even easier to keep up to date with appointment notifications from Facebook and all that jaz. This entry was posted in Buy iPhone Parts on 10/07/2013 by iphoneblog. We often get iPhone 4Ss come in to our office with scratched screens. Should you ever want to resell your iPhone, scratches reduce its value considerably but the prevention is simple and incredibly effective. All you need is a screen protector. Simple! 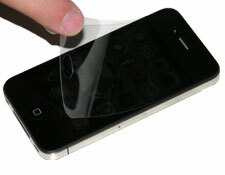 A screen protector is the perfect way to prevent unwanted scratches. We off just the part for your scratch prevention needs. Check our site for more details! This entry was posted in Buy iPhone Parts on 05/29/2013 by iphoneblog. According to a translation of Chinese site Weiphone.com, the iPhone 5 successor will have a vastly improved resolution. It is still unconfirmed whether this will be the iPhone 5S or the iPhone 6. It is rumored that the iPhone 5s’ current pixel count of 0.73 million pixels will bump up to a massive 1.5 million. In addition to this, the site suggests a smaller bezel will be introduced but it is not clear how this would be done. Apple has all ready shook things up last year by altering their resolution to a taller design (much to the dismay of app developers) so it seems unlikely they would do the same thing this year. On the other hand, Apple might feel pressured to further compete with Samsung’s Galaxy S4 pixel count of over 2 million. The new iPhone is scheduled to start production in June, ready for a release in September. Given this, it is likely more details will be released as more people leak the specs of the parts. This entry was posted in iPhone News and tagged iphone 5s news, iphone 6 news, rumors, speculation on 05/29/2013 by iphoneblog. With all this talk and speculation on the next iteration of Apple’s iconic iPhone 5, the iPhone 5 rumors are coming loud and clear through your speaker. Are they not? Then it’s the perfect time to get those faulty speakers repaired! If you have any troubles with your iPhone 5 speakers such as intermittent sounds coming through or distorted sounds then give our tried and true loud speaker repair service a try. We’ll get such problems sorted promptly so you can get back to enjoying Apple’s latest phone. This entry was posted in iPhone 5 Repairs, Repairs and tagged iphone 5 fault, iphone 5 repairs, iphone speakers on 05/24/2013 by iphoneblog. Given the recent release if Samsung’s flagship Galaxy S4, Microsoft pushing their mobile platform and even Sony pumping out high speced phones, Apple now more than ever is under pressure to release the next version of their iconic phone. Rumors are running wild and speculation is up as to when and what will come with the next iPhone iteration. It is speculated the iPhone 5S will be released later this year but given the surprisingly quick turn around of the iPad 4 and iPad Mini just 8 months after the iPad 3’s release, the 5S may be released as soon as this June. However, we’re expecting the release of OS 7 to be in August or September and it the iPhone 5S could be released in line with this. The revamped OS 7 will most certainly run on the device. According to reports as far back as December, the new screen of the iPhone 5S or 6 will feature 10 point multi-touch touch. It is also likely the new phone will have Retina+ Sharp IGZO with 1080p resolution. 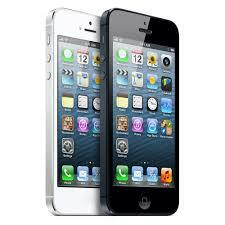 Rumors from January have suggested the iPhone 5S will have a 13MP camera. This is in-line with the industry’s current standard for top end phones such as the Sony Xperia Z and the Samsung Galaxy S4. Overall the iPhone 5S needs to be competitive with up and coming giants such as Samsung and Sony. Will the new phone be enough? This entry was posted in iPhone News and tagged iphone 5s news, iphone 6, rumors, speculation on 05/24/2013 by iphoneblog. Are you always finding you iPhone 4 is running out of juice and doesn’t go as long as you can? There Is a simple little gadget that can help. The external iPhone 4 Power Station has a 1000mAh battery that easily gives your iPhone 4 the boost it needs to see you through the day. Battery run out? No problem. Just plug in the Power Station and you’re ready to go again. This entry was posted in Buy iPhone Parts and tagged iphone 4 increase battery, iphone poor batter on 05/09/2013 by iphoneblog. 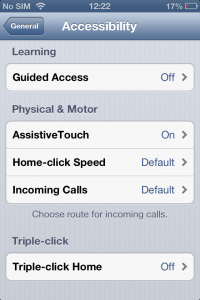 The latest update to iOS has been rolled out to iPhone 5 devices. 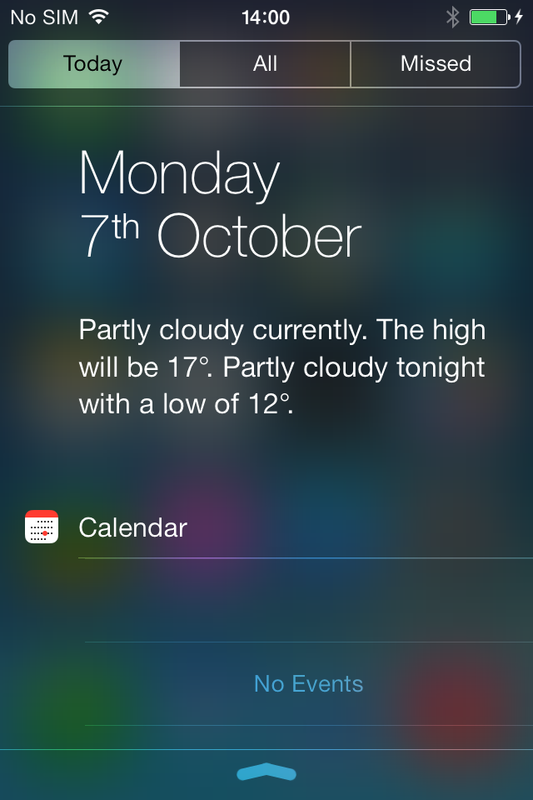 This 6.1.4 version is expected to be the last iteration until the reveal of iOS 7 next month. No new features have been added but an update to the audio ‘profile for speakerphone’ has been found. It is usual for Apple to add security updates but given the surprise nature of the update, the release seems absent of these. 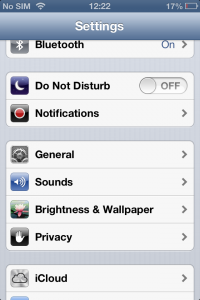 The release was published OTA (over the air) so keep your eyes out for it. 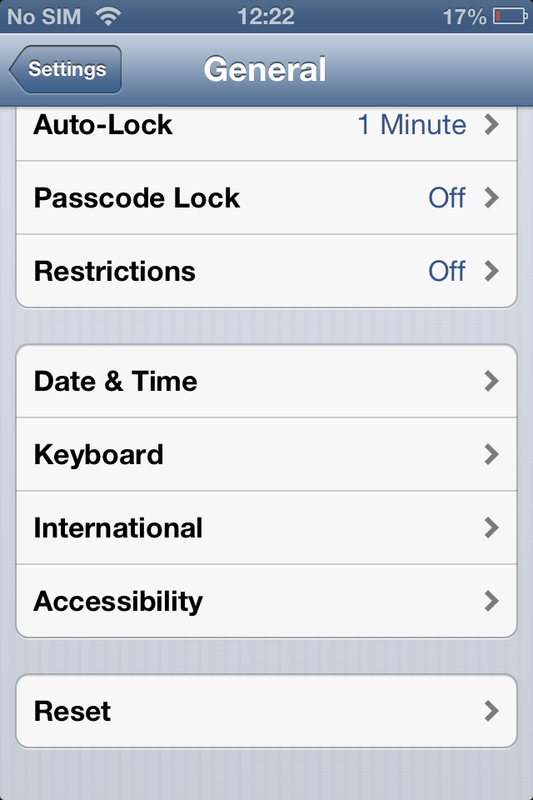 This entry was posted in iPhone News and tagged 6.1.4, iphone 5, new ios on 05/03/2013 by iphoneblog. Google’s convenience application Google Now has landed on iPhones. The application is designed to offer advice and reminders to users based on what they have been doing or plan to do. For example, Google Now might show the travel distance from Home to Work in the mornings or integrate with Google Calendar to remind you of your next meeting. The ideas and suggestions can be useful but if you live outside of the U.S. you’re going to have some features that are not fully supported. For example, you can only follow your favorite teams based in the U.S. Alas, I would love to follow other sports such as Tennis or UK football teams but it doesn’t seem to be supported yet. Despite this, Google Now offers some useful tips and information and is worth a play around. Just install and let it build a profile for a while to make the most of it. You can find more information here. This entry was posted in iPhone News and tagged google now, iphone, release on 05/03/2013 by iphoneblog. Your iPhone 4 may be getting to that age now where some components are getting a little warn out. One of the most common faults is the home button breaking. There is a temporary fix that you can do that will keep your iPhone 4 functional by adding a virtual home button to the screen. This will keep you going for a while but time will come when you cant put up with it anymore or you want to sell it. 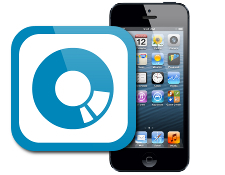 Having a fully working iPhone 4 will add value to your iPhone and will help you sell it faster. 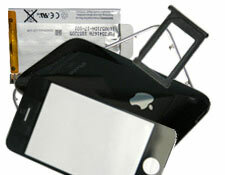 Our iPhone 4 home button repair has a 12 month warranty and we only use top quality replacement parts. We offer a friendly and fast service and have many returning customers. 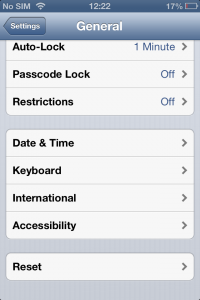 This entry was posted in iPhone 4 Repairs, Repairs and tagged home, iphone, repair, virtual on 04/08/2013 by iphoneblog. Your iPhone 3GS might be showing some signs of aging. There are probably a good assortment of scratches on the screen. The case probably has various marks and dinks in it. The SIM tray is probably chipped and scuffed and the bezel has probably seen better days. The battery is probably lasting shorter and shorter. Your iPhone 3GS is tired. Despite all of this the iPhone 3GS is still a very good phone and still has life in it. It just needs some tender loving care. It is often worth while getting it refurbished and getting it back to an ‘as new’ state. You will have your iPhone 3GS back to how it was when you first brought it and can fall back in love with it again. If you were thinking of parting with it, getting your iPhone 3GS refurbished instead. It will likely add value to the it and will certainly help you sell it quicker. This entry was posted in Refurbished iPhones and tagged help, iphone 3G, iphone 3GS, refurbishment, why on 03/04/2013 by iphoneblog.